Research has shown that the more time young adults use social media, the more likely they are to be depressed. According to a study done by The University of Pittsburg, participants that use social media very frequently have 2.7 times the likelihood of depression. The direction of causation is not known – people could be using social media to fill a void or led to falsely believe that others are leading happier and more successful lives. However, social media can also serve as a platform for support as studies reveal that depressed people may be turning to Instagram as an outlet. Research from Drexel University discovered that some users use Instagram as a safe medium to share information about themselves and reach out for help. Posts seeking support and engagement about eating disorders, body dysmorphia, and other serious concerns are more likely to receive supportive comments than those that don’t. The latest study links Instagram habits even more closely to mental health. 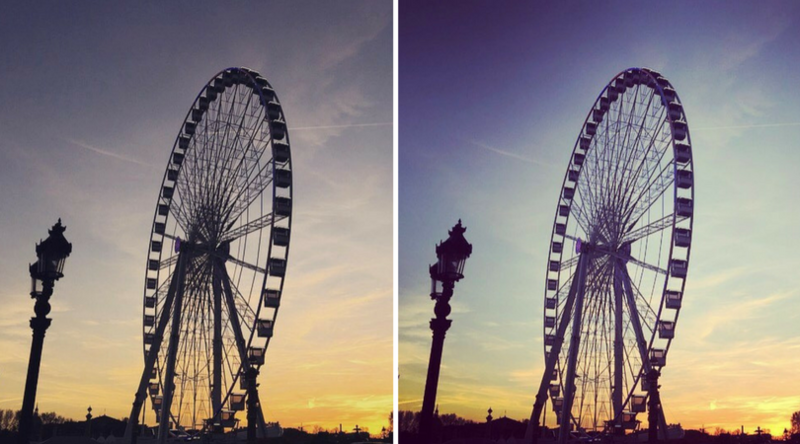 New research suggests that Instagram photos may be a useful tool to detect depression. Researchers Andrew Reece from Harvard and Christopher Danforth from University of Vermont aggregated Instagram data from 166 people to identify markers of depression. The research incorporated computational methods from machine learning, image processing, and more to gather useful psychological indicators from photos. Take this quick test to see how you fare against the study’s findings. How many selfies do you post? Do you prefer black and white photos? How frequently do you post to Instagram? So what’s this say about you? 1) Posting more selfies, 2) posting more B&W photos, and 3) heavy Instagram use were all patterns associated with depression. Likewise, filtering photos with blue and grey undertones was another sign – like the photos above on the left. Psychologists sometimes use visual imagery to help their patients express feelings and experiences – Instagram could be a similarly useful tool. Instagram also recently released a suicide prevention tool that allows users to alert operators if they believe someone is in trouble. Recent research has opened up the possibility for future initiatives, as technology could add new avenues for early detection and treatment of mental illnesses. If you or a loved one are suffering from depression, it’s never too late to get help. For more information, visit the CDC Depression Page.